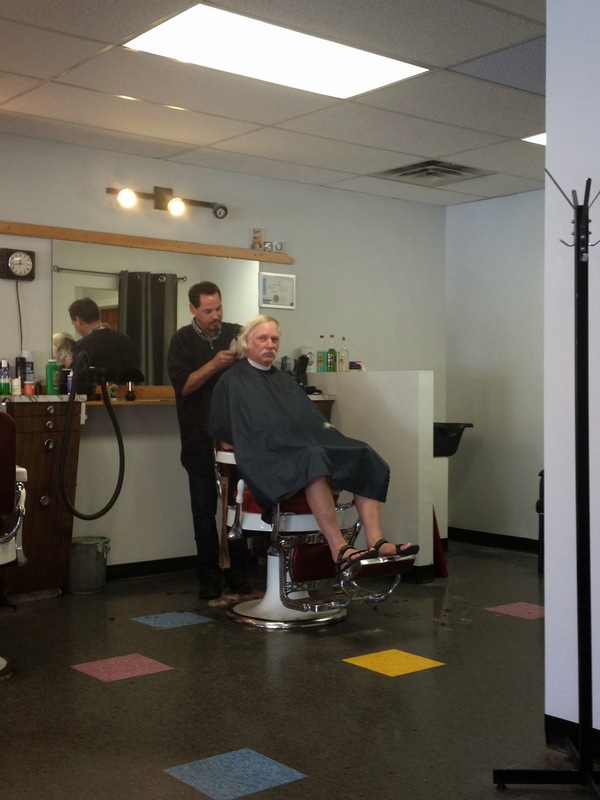 I guess I should mention while in Kingston I decided to get a hair cut, just couldn't stand it anymore. We left Kingston early at 7:00 for a 60 mile trip to Trent where the Trent Severn Locks and river begin. We pulled into the Fraser Park Marina and were greeted by the owner Craig. 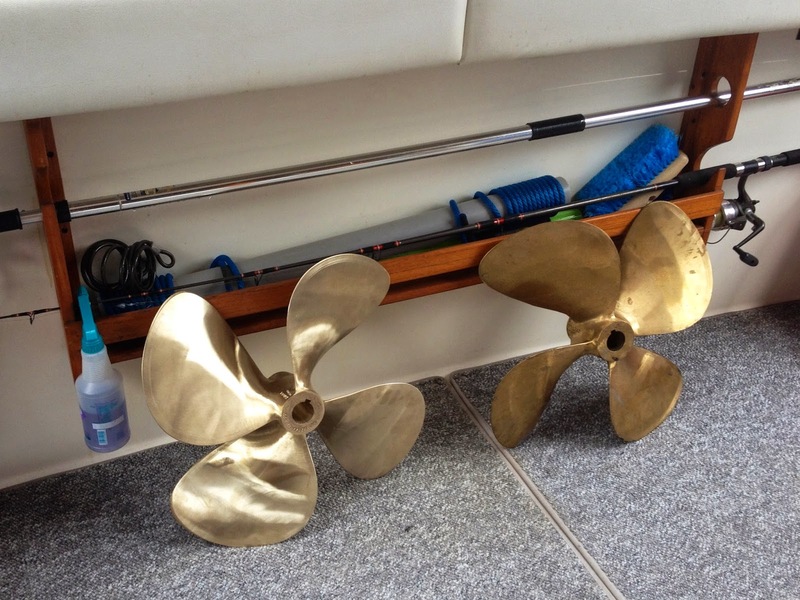 Next day our new starboard prop was delivered and we called diver Dave to come and install the new one and the spare port prop. Diver Dave had a hard time getting the old ones off but finally by 6:30 pm the new ones where on and the old ones were off to the prop shop for repair. We left next day, July 24th, for our first stop after going thru eleven locks, Campbellford, ON. Only thing we did was eat dinner, relax and go to bed. Left the next morning for another long day of 60 miles and seven locks to Peterborough. 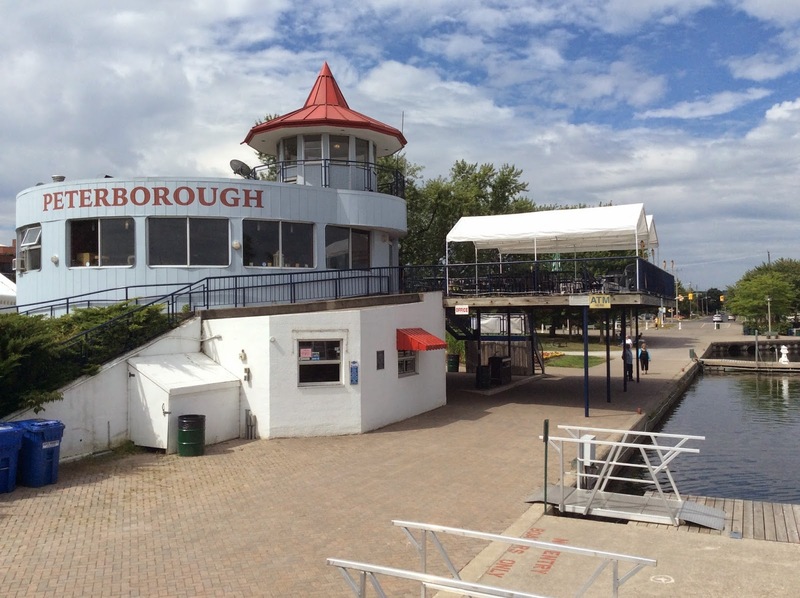 Peterborough has the worlds highest hydraulic lift lock, rising 65 feet. Now that we have been on the Trent Severn waterway I can say the beauty of the Rideau is still number one. We arrived here in Peterborough around 6:00 pm and expected our packages, one with Jan's meds and one with the belt for the generator, to be waiting for us to pick up. Here goes Murphy's Law again, no packages. Apparently this marina gave me the wrong zip code and they won't be here till Monday. So while we wait I changed the oil and filters on the engines and did all my checks on battery and engine fluids. We should be good to go, with oil changes, until Alabama. Bout time we got here, aye!